1. Please take a screenshot of your character and send it along with this message. 2. What is your main chars name/class/favourite spec? 3. When did you first start playing WoW? Midway through BC, I forget which year. 4. What was the first character you ever created? 5. What is your favourite zone in the game? 6. If your current favourite class didn’t exist, what would your main be? Cleric in Rift, Sage in SW:ToR, Templar in ESO…… (priest equivalents), I guess I might give monk a try, maybe? In all seriousness, I worked out pretty early on in my wow career that priest was the love of my life, and I’ve played it in one form or another for over 10 years at this point. I have no idea what I’d do. If priest had never existed I MIGHT have stuck with my mage, but then again I might’ve just quit too. I spent most of my time on my mage trying to help people with Gift of the Naaru and bandaging(!) them, so I knew it had to be a healer, and having played all healers to level cap various times, none of them really draw me in the same way as priest does. Maida. He’s an irl friend of mine. 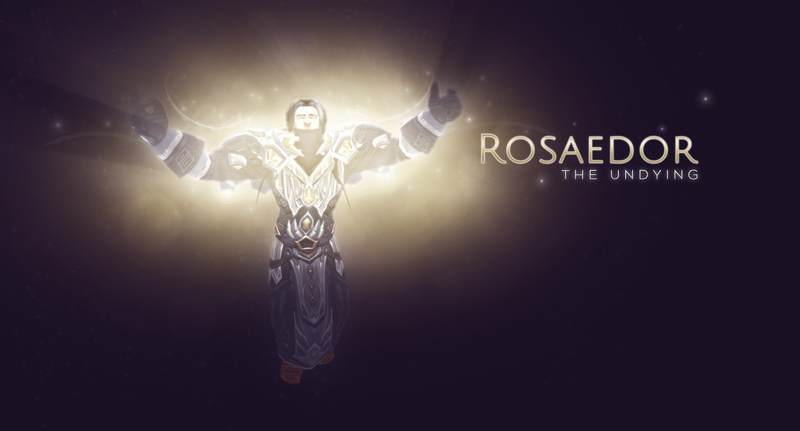 He was a holy priest raider in Angels of Ares in vanilla and BC, and he taught me how to triage, make my mana work for me, that healing was – unlike dps – a co-op experience rather than a competition, spell choice and much, much more. 8. Tell us about an amazing experience you had in game. I was for the most part a VERY small time Kara raider in BC while the bigger guilds were on BT already, so when me and my friend (somehow) impressed the guildleader of a midtier guild that while yes, was not doing BT, but did have a raid team big enough to do 25 man raids, that was pretty amazing to me. Especially since he then had us invited and summoned into TK during their A’lar progression 5 minutes later. We had NO clue about anything, it was hilarious. It was my first experience with proper raiding. I think at most I’d done the first 5 bosses in Kara (10 man) at that point? So 25man A’lar progression was a bit of a cultureshock, but that really kindled my love for raiding. 9. Any favourite movies or music you want to share? Well they’re not movies, but TV series, hope that’s ok. Doctor Who, Firefly, Killjoys. I love many other things too, but nothing you can put on a tv screen gives me quite the same warm and fuzzy feeling. Music wise, I’m an omnivore. I’ll admit I have a preference towards 80s rock, but there’s some amazing stuff in other genre’s that I’d never want to do without. I like Nightwish and Owl City, Muse and the Corrs, AC/DC and Imagine Dragons, Linkin’ Park and Taylor Swift, Eminem, Macklemore, Loreena McKennitt, the Beatles, Enya…. 10. After WoW, which other game, have you invested a significant amount of time in? PreviousLooking for a Resto Shaman and or a Priest! Updated!